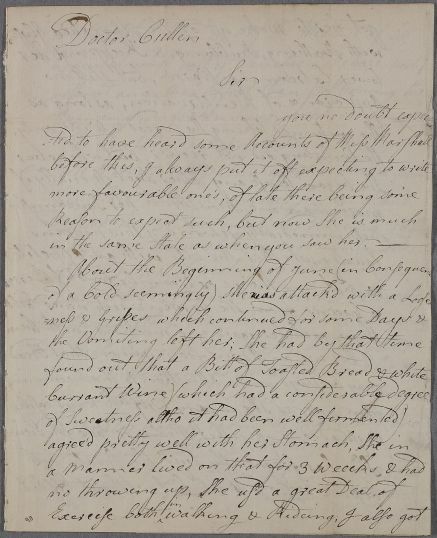 Letter from Alexander Copland concerning the case of Miss Marshall who is 'much in the same state as when you saw her'. 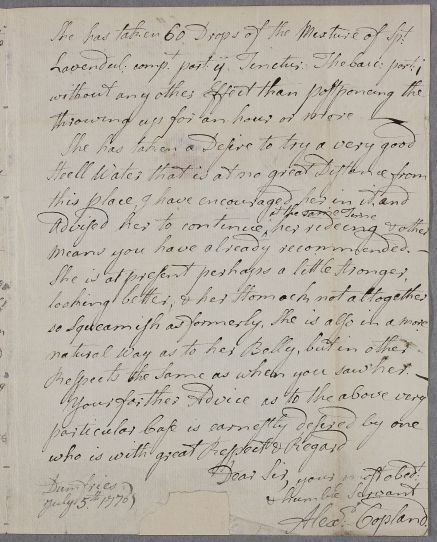 A postscript mentions a scheme for establishing an infirmary in Dumfries. 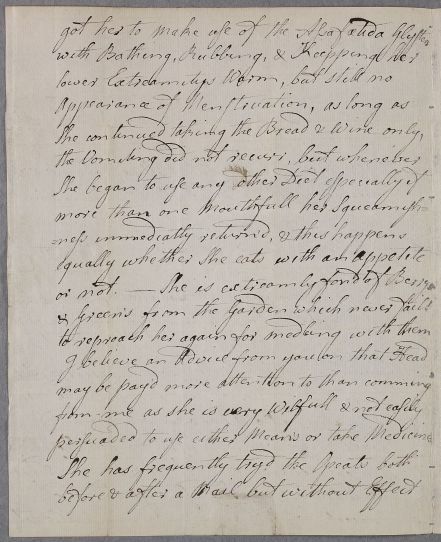 Summary Letter from Alexander Copland concerning the case of Miss Marshall who is 'much in the same state as when you saw her'. 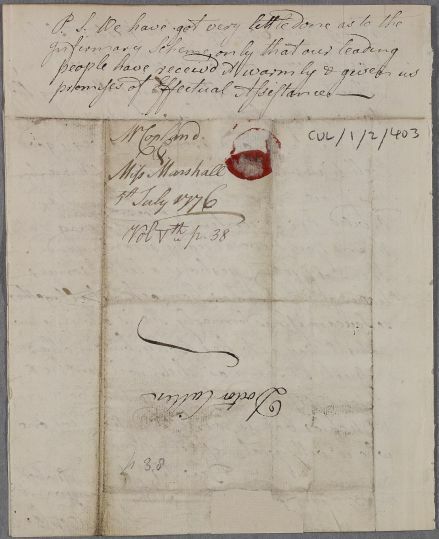 A postscript mentions a scheme for establishing an infirmary in Dumfries. Case of Miss Marshall who has a stomach disorder. persuaded to use either Means or take Medicines. throwing up for an hour or more. Respects the same as when you saw her. 1: This is firm proof of Copland's hitherto suspected role in supporting his colleague Dr John Gilchrist, in the founding of Dumfries Infirmary in 1776. See Gordon Irving, Dumfries and Galloway Royal Infirmary; the First Two Hundred Years 1776-1977 (Dumfries: 1977).